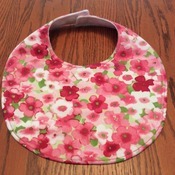 Baby Bib -Drool Bib - Pink and White Flowers - Handmade - Baby Girl Bib - Maries Classic Home. 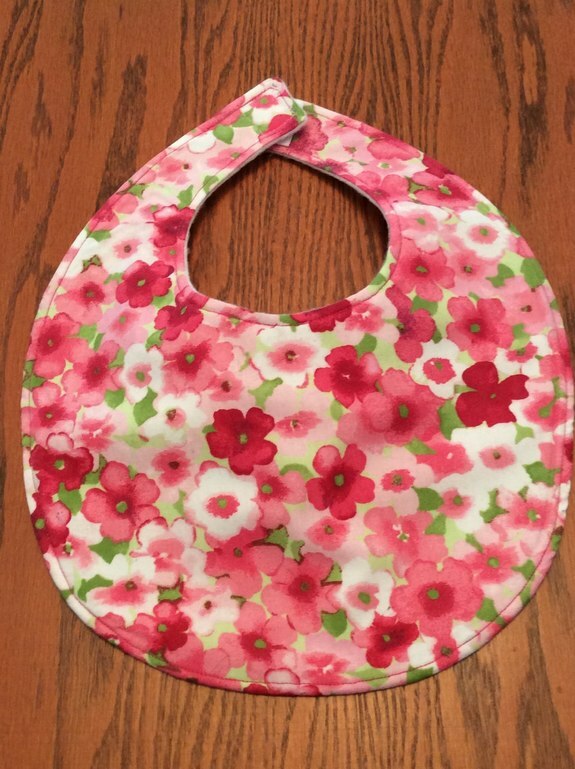 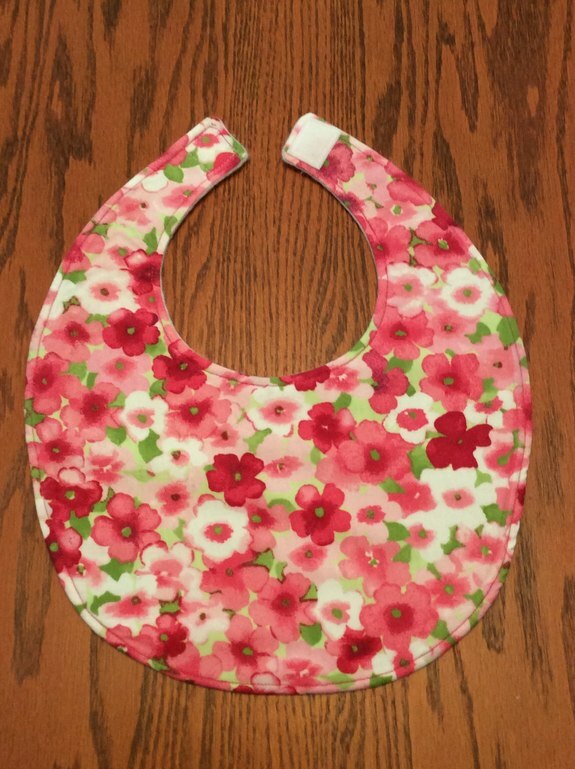 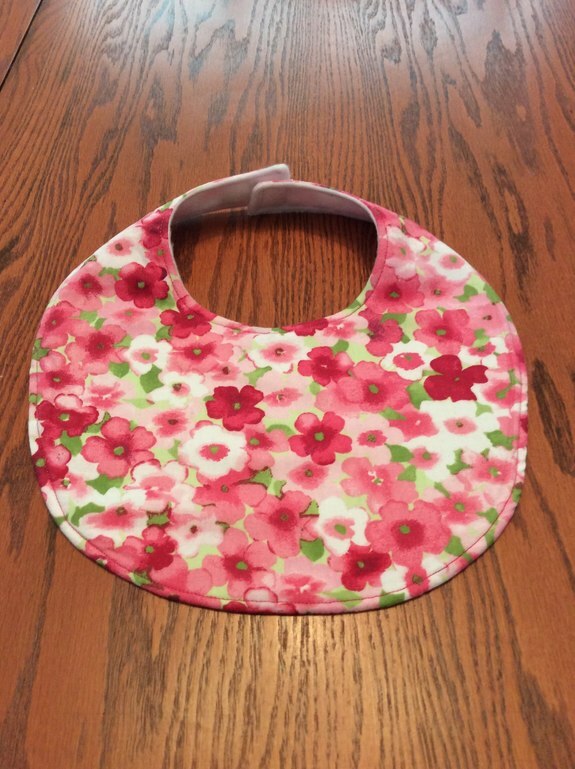 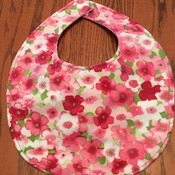 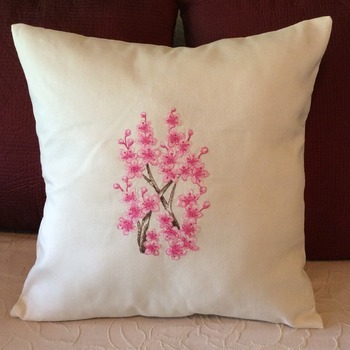 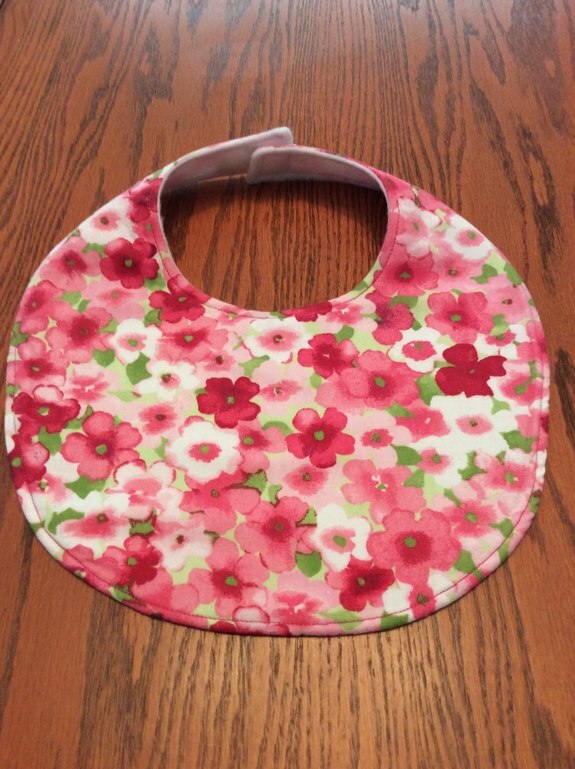 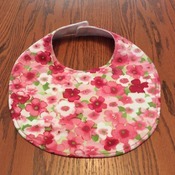 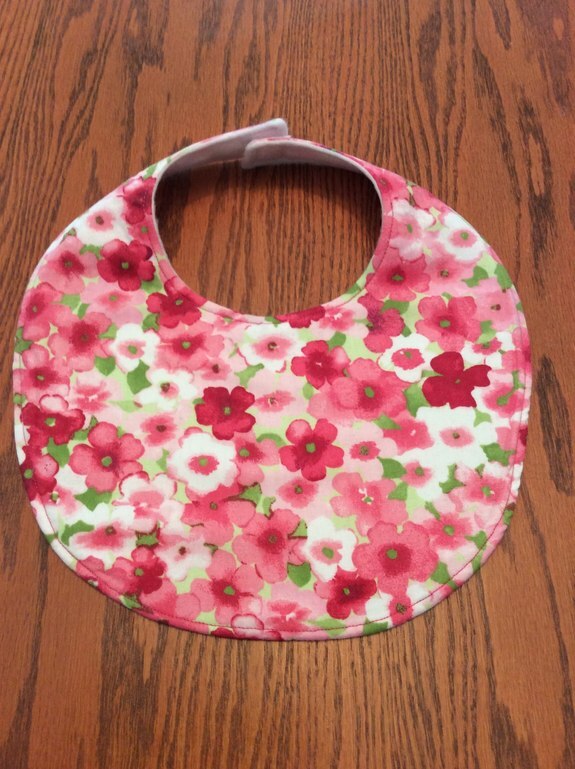 "Pretty in Pink" - The front of the bib is a pink floral design with soft white Fleece on the back. 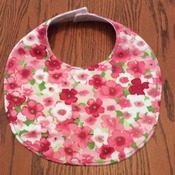 It has a velcro closure for easy on/off and top-stitched. 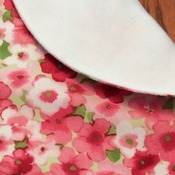 All snaps are securely fitted. 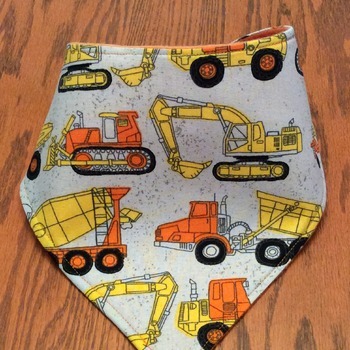 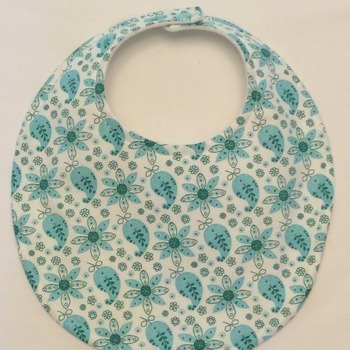 The bib measures approximately 9 1/2" wide, 12" from the top to bottom when laid flat and 6" from under the chin to the bottom. 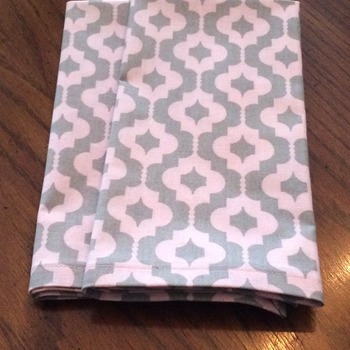 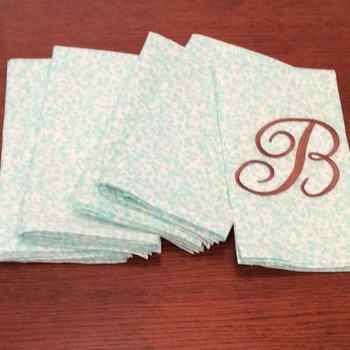 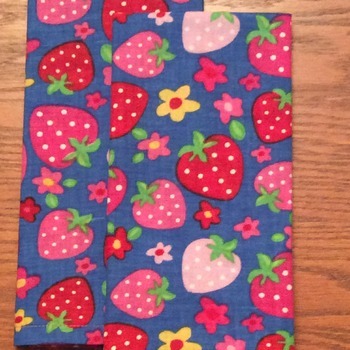 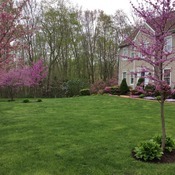 Top fabric is 100% designer quilting cotton. 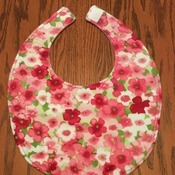 The backing is made from soft luxurious fleece, will not chafe baby's skin. 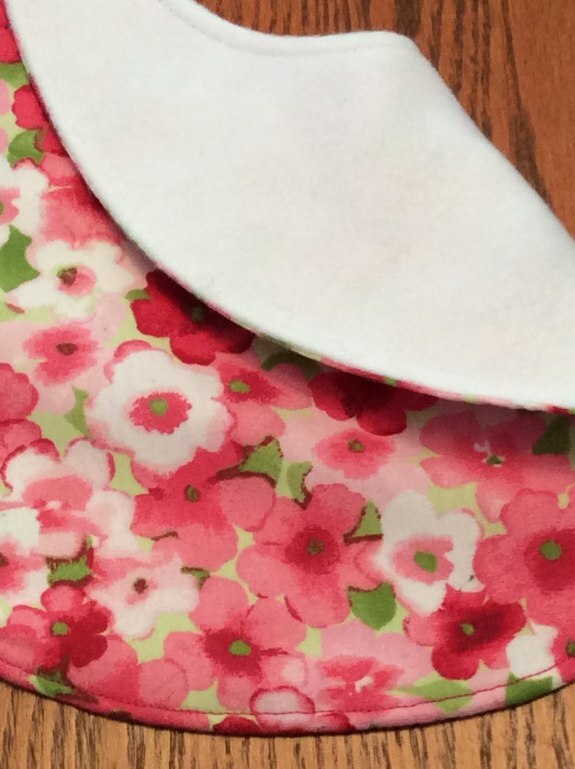 Machine wash cool water, tumble dry, low setting.